We all know how important effective marketing is. In order to build brand awareness and create a following, you must have a strong team of marketers. However, managing any team carries with it a unique set of challenges. Marketing management is no different. 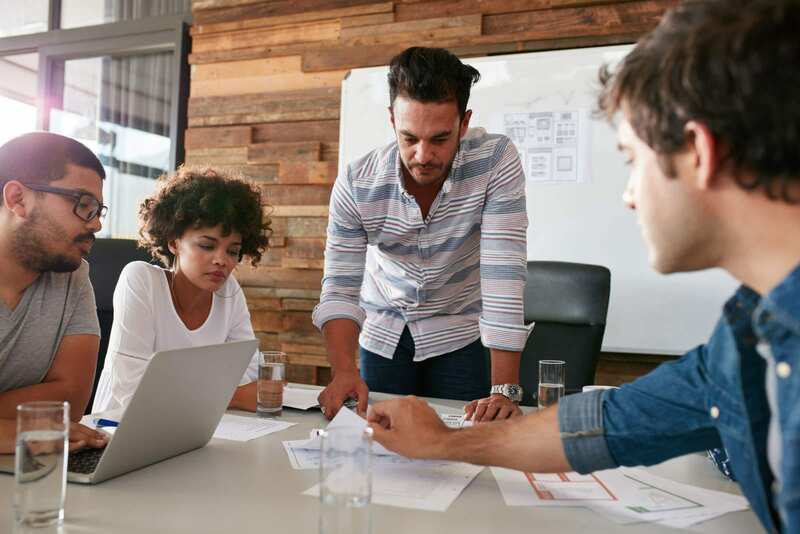 In fact, managing a team of marketers poses distinct challenges largely due to the breadth and depth of knowledge necessary to run successful marketing campaigns. Marketers come from a variety of backgrounds and it is important to build a team that works cohesively if you want to be successful. So, just how can you build and manage a marketing team? In order to manage any team, you have to first assemble a team. When you are working through the hiring process, you should consider not only the strengths and weaknesses of each of the candidates but also how those strengths and weaknesses compliment those of your existing marketers. For example, if your team consists largely of writers, it may be worth looking for an applicant who excels in the field of SEO. On the other hand, if your team lacks members with a background in writing, it could be worth your time to look for those with a background in journalism or another related field. Ideally, you are in a position to choose each marketer due to a specific and unique strength that they can bring to your creative table. Once you have intentionally built your marketing team, you should have a sense of what types of tasks each marketer is best suited for. However, before beginning to delegating tasks, take some time to break down what needs to be accomplished and why. What are your goals and how do you aim to achieve them? By spending time ensuring that you fully understand what will go into each task, you can ensure that you are assigning the right employee to each project. For larger projects, you can even break them down to have certain employees work on certain aspects. One of the benefits of having a balanced marketing team is that the end product is often better than any one marketer could produce independently. After your team is up and running, they will hopefully manage themselves to a certain degree. This said, marketing management does require some degree of checking in with your team. With a team full of employees from different backgrounds, it is important to ensure that each marketer is using their respective skills within the context of the bigger picture. As marketing has developed alongside technology, many companies have a propensity to divide traditional and online marketing. However, by doing this those companies are missing out on many potential opportunities. Communicate frequently with your team members to ensure that everyone is fulfilling their responsibilities with both aspects of marketing in mind. Assuming that your team is doing this and communicating with each other, you will be surprised by how much more exposure your brands receive. In short, the key to managing your marketing team is building the right marketing team. In addition to looking for certain characteristics of good marketers, look for marketers with the right skill set given your teams needs. While this will not ensure that everything runs smoothly, it will certainly make your job easier and enhance the overall quality of your team’s work.